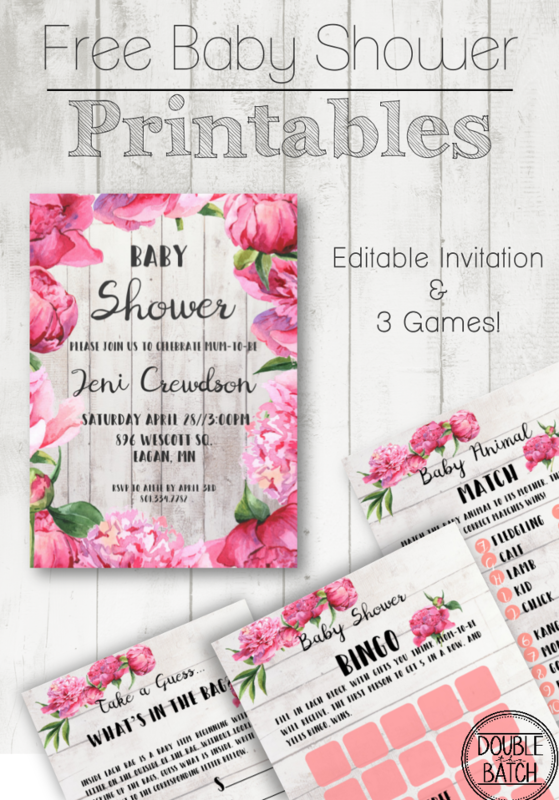 Make hosting a baby shower a breeze with these free adorable floral invitations and matching game printables. Last week I had the chance to be a part of a beautiful wedding for my sister in-law. The reception was held in my husband’s home town Thunder Bay, Ontario. Although it is a long 6 hour drive, I always love visiting my in-laws and staying in the very room my husband grew up in, Lord of the Rings posters still included. While there, we also got to be apart of my sister in-law’s (not the one getting married) pregnancy announcement for their fourth child! It was a great week full of excitement and lots of fun. The following week after being home again, I found myself filled with creative ideas full of flowers and babies. The result, floral baby shower invitations with matching games of course! The matching games included are, “Take a Guess : What’s in the Bag?”, “Baby Shower Bingo”, and “Baby Animal Match”. They are all pretty self explanatory (directions are included on the game sheets) and only “What’s in the Bag” requires any set up. This game consists of gathering baby related items starting with the letters in “Baby Shower” and placing them in individual bags. Guests will place there hand in each bag guessing… what’s in the bag. There are also two separate game sets, one with backgrounds and without for those who are ink conscious (like myself) and printing from home. 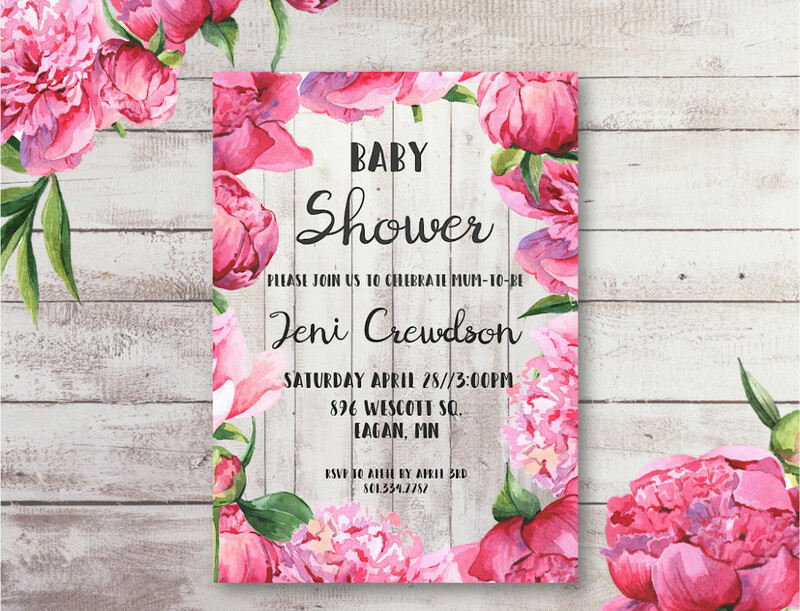 The baby shower invitation is a 5×7 fillable PDF file which means you can fill in your own text on the PDF itself. The 3 games are not editable and are individual 8×11 PDF files ready to print. An answer key PDF required for the Baby Animal Match game is also included. When finished, you’ll have a professional looking invitation and matching set of games and no one will know you did it yourself! Please note that not all text is editable on the invitation. “Baby Shower” and “Please join us to celebrate mum-to-be” are locked. Step 1. Download the PDF files below and open them with Adobe Reader. It will not work in any other program! If you do not have Adobe Reader download it for free here. Step 2. Replace the text with your own information. You will find that there are two editable text sections, Name and Information, to fill in as needed. If you need to change the text size, color, or font press “command+E” for mac or “control+E” for Windows. Step 3. Print out invitations on card stock and cut to size. Step 4. 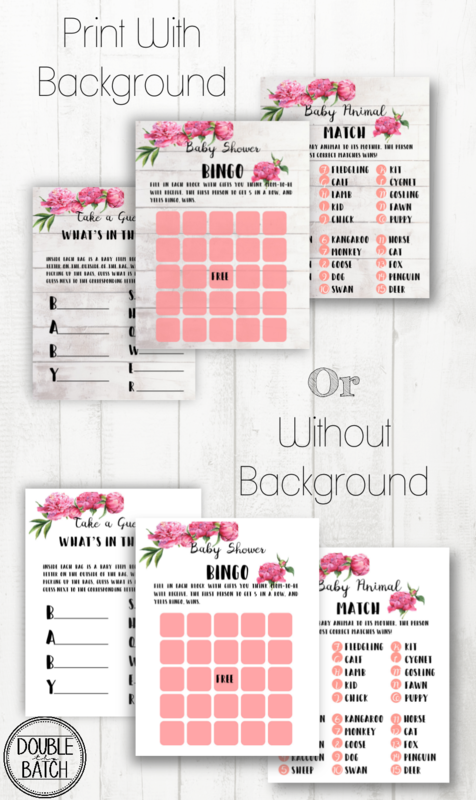 For the games sheets, simply choose between the “with” or “without” background option and print as many pages as needed per guest. Only print one “Baby Animal Match ANSWER KEY” file, as the host is the only one who needs this sheet. Step 5. Print out on card stock.